Extraverted feeling is often called the “harmonizing” function. That’s because it helps us to understand and empathize with the moods and emotions of others. People with strong extraverted feeling can often absorb others emotions and feel them as if they are their own. This makes strong Fe users very good listeners who often know how to put people at ease and make them feel better. Extraverted feeling is a driving force behind the personalities of ENFJs, ESFJs, INFJs and ISFJs. We will also be discussing the types who use Fe less proficiently; the ESTPs, ENTPs, ISTPs and INTPs. I’ll be writing another post soon that talks about how introverted feeling manifests depending on its location in one’s function stack. For now, you can check out the difference between extraverted and introverted feeling here. 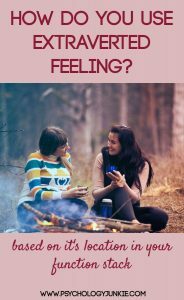 Fe (Extraverted Feeling) users are very aware of the overall mood of the environment and they work to maintain a sense of harmony in their outer world. They can easily and proficiently change the mood to make it more happy, upbeat, or sad depending on what seems appropriate at the time. Extraverted feelers are usually polite, empathetic, and helpful. They do whatever they can to make the ones around them feel comfortable and at ease. For those with Fe lower down in their function stacks (NTPs and STPs), feeling will be less of a driving force. They will consider extraverted feeling only after they have sorted things out logically through introverted thinking. One important thing to remember about Fe users is that they often have a hard time understanding their own emotions. They can easily pick up on and understand other people’s emotions, but their own are more confusing to them. This is because their feeling function is directed outwards, towards others, instead of inwards, as with introverted feeling. Fi users can easily understand their own emotions, while Fe users will often have to ‘vent’ or talk their emotions out to understand them. This process of putting their feelings out into the world lets them process them effectively, and is an important thing for them to be able to do. This rule applies more to dominant and auxiliary Fe users, and less to the tertiary and inferior Fe users. 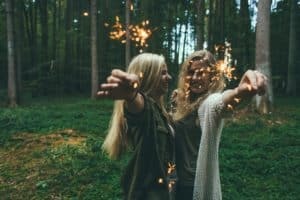 ESFJs and ENFJs are supremely concerned with the welfare and harmony of their circle of people. They are givers and helpers, and focus their decisions on outside people and human kind. When they make a decision, the first thing they think of is values – not facts; What is best for humanity as a whole? What is my social responsibility? What impact will this decision make on the greater good? How will this affect the people around me? According to Dario Nardi, ESFJs are more left-brained. They show high activity in the brain regions that recall facts, follow steps, and use imagination to copy others’ behaviors. They also show activity in regions that help them make linear deductions. ENFJs are more right-brained. They show higher activity in regions that relate to whole-body motion and assessing intentions. They also show more activity in regions that help them to classify, define, and weigh odds. They also rely on cortical circuits that link key brain regions for hyper-fast thinking. ESFJs are going to be more like mimics when it comes to responding to social cues – fluidly copying the body language and feel of other people to put them at ease and make them feel comfortable. ESFJs are very aware of the appropriate responses and what’s appropriate to talk about – they are usually masters of social graces and hosting. They are excellent listeners, who respond with sympathy and understanding. When they speak, they are going to speak literally and about practical matters usually. ESFJs love tradition and being part of a group of people or institution – for this reason, they will often have a more traditional response to things, or they will recall helpful advice someone they respect once told them. They will use their memory in helping people – what has helped someone in this position before? What has helped me before? When they speak to you and try to help you feel better, they will often do so by offering practical advice or thinking of some practical way they can help you. They would think: You’re feeling sad? Let me find a practical way to help you. I will bring you a meal this week so you don’t have to cook. ESFJs hate conflict, and will always try to keep things harmonious. They are very generous and kind, and will usually do what they can to avoid conflict or criticism. If they are in an environment where criticism or conflict is normal, they may fall into the grip of their inferior function; introverted thinking. You can find out more about that here.here. ENFJs are more like counselors and inspirers in their way of talking to people. Instead of necessarily offering practical advice they will use their intuition to try to dig deep into your soul and discuss the very root of who you are as a person. They are usually very expressive and advanced with language, seeing it as an art form that they can mold to a very specific intent. They will use their words to inspire you, to find a way to make you feel better, and to empathize. They will focus less on the past, and more on the future. They will use more metaphor in their speech and will not be as focused on solving a problem with what has worked in the past, but finding a unique innovative solution. They don’t mind delving into ‘inappropriate’ waters, and can greatly enjoy discussing philosophy, abstract ideas, or the existential. When it comes to helping, they will offer inspirational or therapeutic advice more often than practical advice. They would think: You’re sad? Let me find an insight into your soul that I can use to inspire you. Let’s talk this through till you are feeling like a brand new person. Like ESFJs, ENFJs hate conflict or criticism, and will try to keep things harmonious as much as possible. That said, ENFJs usually have extremely strong opinions and ideals that they live by. They will cause conflict or remain in a crisis situation if their ideals are being challenged. If they are in a regular state of conflict, they may fall into the grip of their inferior function; introverted thinking. You can find out more about that here. ISFJs and INFJs access Si (introverted sensing) or Ni (introverted intuition) before Fe – so these processes are going to greatly influence how they use extraverted feeling, because it all is filtered through Si or Ni first. One thing that can be confusing about ISFJs and INFJs is that because of their auxiliary Fe they can often be mistaken for extroverts. They love to make people feel at ease and comfortable, and are very empathetic people. They will try to fill up empty space in conversation to try to make sure the mood is harmonious and everyone is at ease. However, they are extremely introverted and need plenty of time alone to re-charge. This can confuse people who mistakenly think they are extroverts because they talk more than other introverts. They can go from being extremely friendly and talkative to needing to abruptly excuse themselves from the commotion to be alone because they’ve drained their energy. ISFJs are very concerned with the harmony of the people around them. They are very generous and empathetic, and will do what they can to maintain good feelings in their environment. They use their dominant Si to remember details about what people like and need, and they will use those memories to help those around them. For example, if you were to casually mention that you loved Sour Patch Kids more than any other candy, the ISFJ would store that information away in case they need to cheer you up some time. They are usually very good at reading body language, emotions, and social cues and do what they can to alter the conversation or mood accordingly. Like ESFJs, they can often mimic body language or tone to make the person they’re with feel more related to or understood. They like to offer practical solutions to problems or help in practical ways, bringing you food if you’re sick or helping you clean your house if you’re tired, etc,. INFJs love to make those around them feel understood and inspired. They use their dominant intuition to pick up on various small cues as to what a person is thinking or feeling inside. They are often great counselors and listeners, and don’t care to engage in small talk, although they will utilize it to make people feel at ease. INFJs want to really get into the depth of what makes someone who they are. They’re not afraid to discuss inappropriate or strange topics, and will be able to sense if someone is being phony. While ISFJs use memory to help others, INFJs use intuition – they are good at seeing through motives and social facades to the real person. Their form of helping others is less practical and more insightful. They will offer more therapeutic or inspirational help; helping you grapple with a difficult emotional problem or giving you a goal or idea to look forward to and inspire you. Those with tertiary Fe aren’t quite as focused on harmony as those with dominant or auxiliary Fe. However, it still greatly influences how they make their way through life. 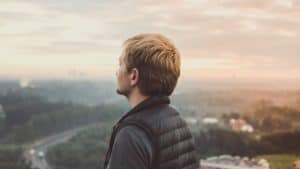 ESTPs and ENTPs often move through social settings with a certain amount of grace and conscientiousness, using Fe to make connections and put people at ease. ESTPs are “The Doers” in the MBTI world. They are fun, active and charming people who usually excel in an active and fast-paced life. They are optimists who live in the moment and make the best of every opportunity. When it comes to Fe, ESTPs use it to navigate through social settings and form connections with others. They are usually very good at blending in and engaging with other people, quickly establishing rapport with others. Because their Fe is not very advanced, ESTPs don’t prefer to get into very deep discussions about feelings or emotions, and don’t like to discuss their own feelings or emotions very much. Socially they can seem quick-witted and friendly, but one-on-one they make keep their feelings much more hidden or ignored and will usually tire of very emotional conversations. ENTPs are bright, innovative types who love discussing theories and possibilities and finding creative ways to improve the world around them. They are insightful and logical and enjoy being able to discuss their ideas with others. ENTPs use Fe to discern the motives of other people – they focus less on what is said, but how it is said. They like to use Fe to cultivate good feelings and harmony in their environment; though disharmony isn’t as troubling to them as it would be to the more Fe-dominant types. ENTPs can use Fe to navigate social situations smoothly and connect with people on a deeper level. They are usually able to discern other people’s emotions relatively well, and can alter the mood of the conversation to put them at ease. Because their Fe is not very advanced, ENTPs tend to dislike very emotionally-rich conversations. They won’t be as likely to discuss their own emotions, and may just ignore them, which can eventually lead to resentment towards others. 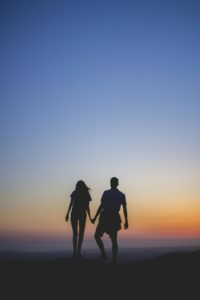 They have to be careful to be honest and authentic with their family and relationships so that they don’t end up holding in bitterness over emotions they’ve stifled. ISTPs and INTPs focus less on Fe than any of the other types we’ve mentioned. They tend to think of it almost as an untamable ‘child’ that gets in the way. They often see emotions as somewhat confusing and even useless and tend to focus on the logical aspects of life. As they get into their 50s and 60s, INTPs and ISTPs often develop their Fe more and become more skilled at using it and understanding other’s feelings. ISTPs experience Fe more as ‘background noise’ than something they know how to proficiently use. They want things to be harmonious and prefer to get along with others. They also have an awareness and desire to treat everyone with fairness and respect. They can usually navigate social situations relatively smoothly, and can ‘rub elbows’ with others in a lighthearted way, often enjoying workplace banter and creating a positive atmosphere. This social awareness helps them to maintain their outer ‘cool’ demeanor and they tend not to be very socially awkward. However, ISTPs don’t particularly enjoy using Fe. They see it as getting in the way, and usually want to stifle it in some way. They don’t really enjoy expressing their emotions or feelings, and are often very out of touch with them. Because of this, they will have a hard time understanding or being insightful to others emotions and feelings. If an ISTP experiences chronic stress, they may fall into the grip of Fe and become uncharacteristically emotional and/or out of control. Because this is how they experience emotion, they tend to dislike their emotions and can’t imagine why anyone would want to delve into emotional territory. Because their emotions are irrational, they are likely to assume that everyone’s emotions are irrational. While ISTPs are logically and tactically extremely advanced, they place little value on emotional intelligence. INTPs experience Fe in a very similar way to ISTPs. They prefer to maintain harmony in their environment, and dislike conflict or confrontation. They want others to feel included and treated with fairness and respect. However, because Fe is something they don’t have a good grasp of, they are often afraid to utilize it in social situations because they realize that they cannot bring out the situationally-appropriate emotion easily. They are much more comfortable in the world of logic and ideas, and may shy away from emotional topics or discussing feelings. Because their Fe is inferior, INTPs may have a hard time discerning the emotions and moods of others and will dislike being in an emotionally-charged environment. Being asked about how they feel can be frustrating for them since they are usually somewhat unaware of their own feelings and emotions. If an INTP experiences chronic stress, they may fall into the grip of Fe and become unusually emotional or out of control. Because this is their way of experiencing emotion, they can’t understand why other people value emotions so highly. Because it is out of control for them, they see emotions in any form as being ‘out of control’. While they are often highly intelligent and innovative thinkers, they usually place little value on emotions. How have you experienced Fe in your own life? Do you feel like this is helpful? Do you have any disagreements? Let me know in the comments! I would love to hear from you! I would LOVE to see an article structured like this for each of the functions. Seeing how the different personalities exercise a function makes it so much easier to understand its nature. THANK YOU! Hi! The reason is that ENFPs use Introverted Feeling and I still need to write a post on how that works and relates to each type that uses it. I hope to have that up in the near future! 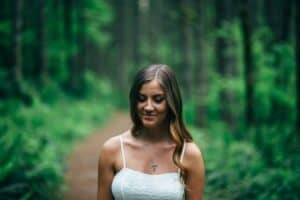 [INFJ] What Exactly Does “Knowing What You’re Feeling” Mean?